You are here: Home / branding / Can you have impact in mass staff photos? Can you have impact in mass staff photos? Sydney staff photos are usually a quick affair. Some people have come to accept this to mean mediocre results. We disagree. Yes when you are pushing through 50 staff, some photographers turn into an automated photo booth with no regard to the person in front of them. Staff look terrible, everyone laughs afterwards how awkward and uncomfortable the experience was, staff wear their swipe cards backwards because they are ashamed of their photo. Even the largest of Sydney’s companies live with this poor quality. But you shouldn’t! As Sydney’s premier headshot photographers, we believe that speed shouldn’t mean a sacrifice in quality. Because our specialty is in dealing with people, we can combine our experience and our technical expertise to bring out the best in everyone even with limited time. The result are photographs that are consistent, impactful, and lift your brand quality. In fact, what you see on this page are different headshots done in various different Sydney organisations spanning half a year. They’re all mixed randomly, yet everything is consistent. When any of these companies have new staff, they can get headshots that match these, easily and quickly. All of these were mass staff headshots, each person taking a couple of minutes to relax and bring out their best in front of the camera. We give staff a great experience in front of the camera. It is by having them relaxed and happy, that we can bring out their best. The result, apart from fantastic photographs, is that staff feel good about themselves the rest of the day. 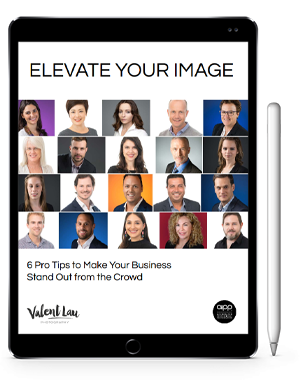 They’re happy to participate in any business lifestyle photography planned, and they’re proud to use and show their headshots in their personal Facebook or LinkedIn profiles. How much does this cost you ask? Actually, we do not charge a premium to give your staff a good experience and you some great quality photography. That’s just what we do, we stand behind our work. So next time you get quotes for your staff photography, look beyond the cost, and see the value you are getting. Valent Lau Photography provides Professional Headshot Photography conveniently at your Sydney office location. Contact us now and let us help you make your best first impression. Thanks Valent, you made me feel very comfortable. It was daunting at first, I didn't know what to expect, I have never done this before. But you made me feel relaxed and comfortable. I felt it was very professional, the presentation I was very impressed with the photos. I came to get my photos done for my website and LinkedIn with Valent. It was a great experience and I felt very relaxed. It was good to have good direction. Valent knew what he was doing and just going through the process of choosing the photos and it was good to have some feedback for me as well because as you know when you look at your photos of yourself you could be quite self-critical. So overall a great experience and I'd recommend highly for you to come and see Valent and have your photos taken. He is one of the best photographers I have met. He has great eyes for details and captures nicely.